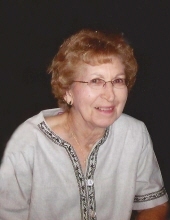 Helen Maxine Holmes, age 92, of Golconda, IL passed away December 11, 2018 at Hillview Healthcare in Vienna, IL. Helen was born May 21, 1926 to the late Colonel and Ruby (Gullett) Palmer in the Glendale Community. She graduated Pope County High School in 1944 and attended beauty school in Carbondale, IL. Helen married Clinton Allen Holmes shortly after he returned to Cairo from WWII. She owned her own business, Helen’s Beauty Shop, in Cairo, IL for over 50 years before moving to Golconda, IL. Helen had been an faithful, active member at Tigert Memorial United Methodist Church in Cairo, IL and after moving she attended Golconda Methodist Church. Helen is survived by one son, Richard (Cynthia) Holmes of Barlow, KY; two daughters, Pat Shadwick of Fancy Farm, KY, Pamela (Buddy) Upshaw of Golconda, IL; six grandchildren, Harold “Chip” Upshaw, Anthony “Scott” Upshaw, Kimberly Upshaw, Vanessa Harpole, Lindsay Owens, Kyle Holmes; ten great grandchildren, Austin Upshaw, Zachary Upshaw, Lisa Harpole, Joshua Harpole, Jonathan Harpole, Cole Owens, Ayden Owens, Mallie Owens, Andrea Klinger, Alivia Upshaw. She was preceded in death by her parents; husband, Clinton Allen Holmes; brother, John L. Palmer; grandson, Charles Richard Shadwick. Funeral service will be 4:00 pm on Sunday, December 16, 2018 at Aly Funeral Home in Eddyville, IL. Rev. Kelly Cox will conduct the service. Visitation will be from 3:00 pm until time of service on Sunday at the funeral home. Interment will be 11:30 am on Monday, December 17, 2018 at Mound City National Cemetery in Mound City, IL. Memorial may be made in honor of Helen to either: Pope County Senior Citizens, PO Box 246, Golconda, IL 62938 or Tigert Memorial United Methodist Church, 3300 Washington St., Cairo, IL 62914. To send flowers or a remembrance gift to the family of Helen Maxine Holmes, please visit our Tribute Store. "Email Address" would like to share the life celebration of Helen Maxine Holmes. Click on the "link" to go to share a favorite memory or leave a condolence message for the family.